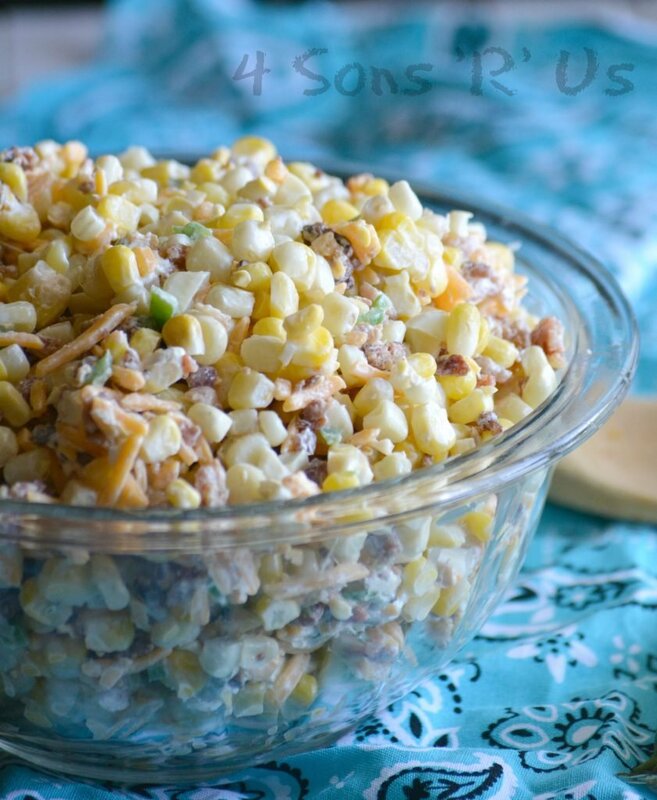 If you don’t try any other new corn recipe this season, try this. Down Home Milk & Honey Corn On The Cob is slowly simmered in a rich and cream, naturally sweetened broth with a hint of spice & a dash of fresh herbs. The juicy, tender kernels are just begging to fall right off the cob when it’s done. Where we live is pretty much a central location to everything. We’re firmly entrenched in the suburbs, but drive 30 minutes one way and you’re in the city/state capitol. Go the opposite direction for the same amount of time and you’re in the beautiful Blue Ridge Mountains. Go one county over and as far as the eye can see are corn fields. There’s nothing I appreciate taking advantage of more than all the access that gives us to a variety of fresh, relatively local produce. And right now with 8-10 ears of local sweet corn for $2 at most of the grocers– there’s no denying that that’s what’s in ‘season’ right now. There’s so many things you can do with corn, on the cob or cut off. 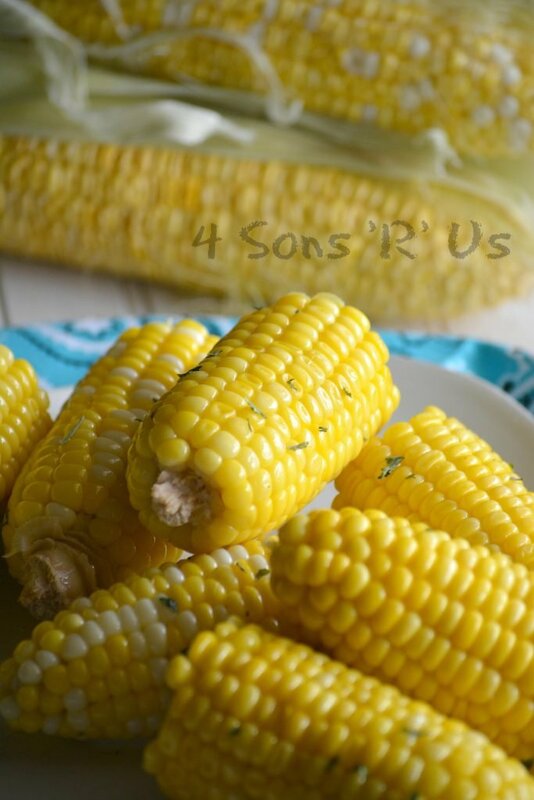 Nothing beats the addition of freshly grilled corn to a meal or a dish. Bought too much because you always get sucked in by a great deal? Blanche it and freeze it, stocking the freezer to have it and enjoy enjoy all Winter long. Even with the almost endless options, I’d be lyin’ if I said I didn’t have a favorite way to prepare it though. Down in the South, there’s no doubt that our sweet corn is naturally, well, sweet– but that doesn’t mean a few tweaks to the standard boil & cook method can’t take it to the next level. The secret to the best Southern-style sweet, sweet corn? Slow boiling it in a creamy, naturally sweetened broth of milk and honey with hint of spice & a dash of fresh herbs. 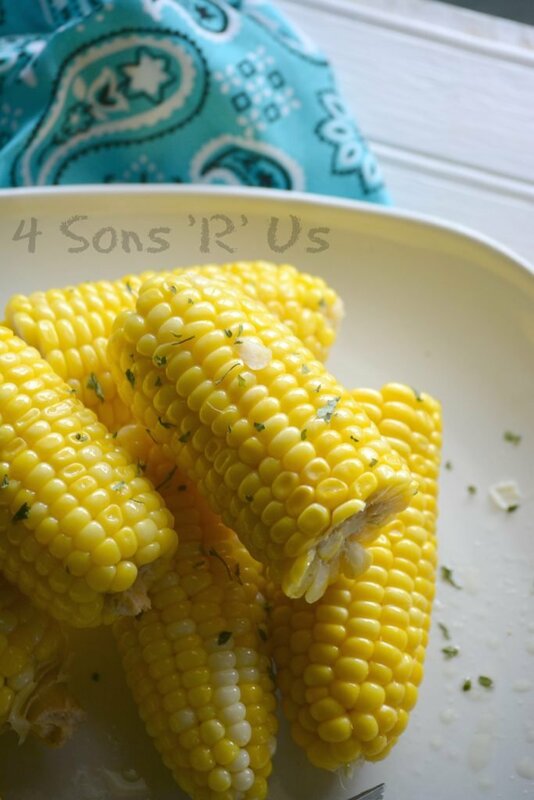 Down Home Milk & Honey Corn On The Cob is a Southern Summer staple. Make enough for the family for dinner, or make A LOT and share the love. Whatever the venue, one bite of this and some sort of bond’s sure to form over the recipe. Fill a stock pot half full with water. To the pot add the milk, cream, butter, honey, Cajun or Creole seasoning, and salt and pepper, to taste. Whisk everything together until evenly incorporated. Add in the corn cobs, whole or cut to size. Heat the pot over low heat to warm the milk and melt butter. Turn the heat up just below medium, careful not to let milk mixture actually come to a boil. Allow the corn to slowly simmer in the milk mixture for 10-12 minutes. Remove the pot from the heat, and using tongs remove the corn from the milk and honey mixture. Let the corn rest one minute and serve immediately. Don’t like food waste or to throw out perfectly good broth? Me either. Save and freeze this leftover broth for later use in soups and chowders or in corn bread. Can you think of another creative use for it? I’d love to hear it in the comments! 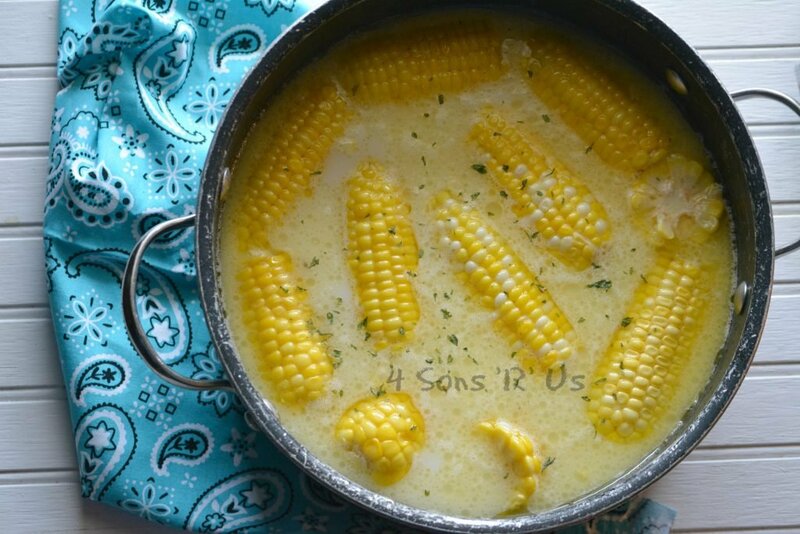 This sounds so good I might just cut the corn off the cob back into the pot and eat it like soup!? I’m often tempted to do the same. Instead I save the leftover broth and use it in my soups and chowders. I am so glad to have found your page!!!! 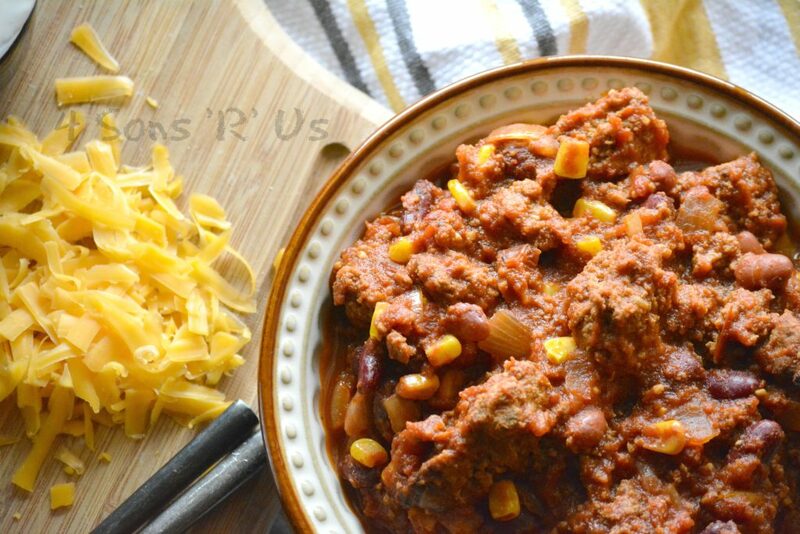 great recipe & I have 4 sons as well…ages 18, 16, 14, & 11!!!! They eat a lot and new recipes are always welcome! Thanks! So glad to have you here, and I hope your boys enjoy our filling recipes as much as mine do! Oh wow. What a beautiful dish. I love the sound of this! Is there anything I can substitute for creole seasoning? We don’t care for spicy food. Can I just leave it out or substitute with other herbs or spices? Susan, creole is usually a blend of blend of salt, garlic powder, freshly ground black pepper, onion powder, paprika and cayenne pepper. The spiciness depends on the ratios of each used. I’d just taste as you go until it has the flavor you’d like, without the spice from the pepper and cayenne. I’d also recommend a smoked paprika. Such a great share at Weekend Potluck – thank you! I can’t wait to try this corn on the cob! We hope to see again this Friday, have a great week! Thank you so much, Jeanie! This is my first time here and “oh my” you can cook!!! This corn on the cob looks absolutely mouth watering!! I can’t wait to browse around some more. Thank you so much, Leslie! I hope you find many things you like, and that we’ll see you again soon. I made this recipe yesterday for a Mother’s Day brunch for the mothers at my church. It was a hit. My daughter ate 4. It was so good I decided to make for today”s dinner. I’m so glad to hear that everyone loved it. My favorite is how easy it is to infuse each ear with such yummy flavor, even for a crowd. Do you have any recipes posted on your site that use the broth?? I am tempted to save it, but dont know how to use it. Btw, the corn was delicious!!! No, and while I’ve thought about it- it honestly just didn’t seem practical because it would require someone else to have made this recipe. I will say we do save the broth and our favorite way to use it is in place of milk in cornbread or in any of our favorite Summer soups. Does the Cajun seasoning make it spicy? No, and I don’t do heat from spices well. It does however give it a great flavor profile. If you’re worried, add less than the given amount, taste, and go from there! Hi, can we use frozen corn for this? This looks so delish! 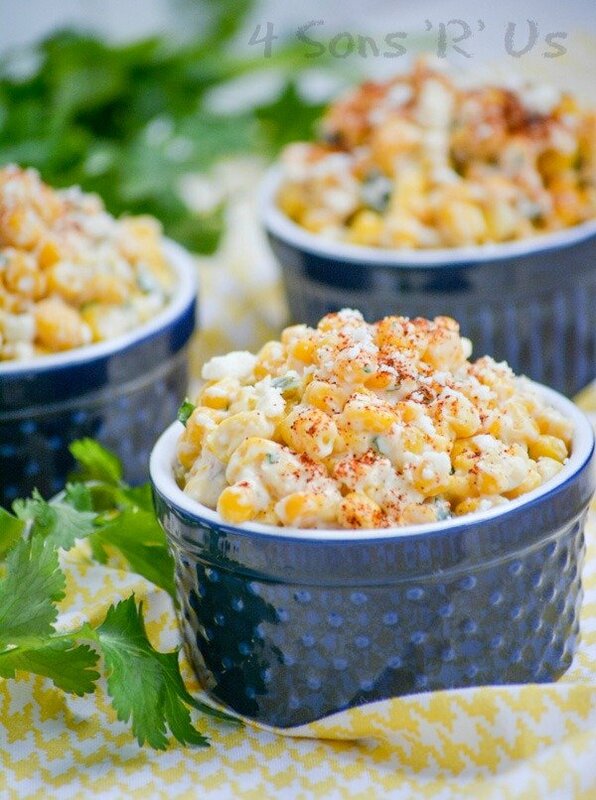 You absolutely can use frozen corn instead of fresh. Sounds good. The only problem is that you cannot drain the cooking liquid down the drain because the butter will cool and coagulate and clog your drain. It really is, Sheila. Also, good tip for those who aren’t aware of that! You write “The secret to the best Southern-style sweet, sweet corn? Slow boiling it in a creamy, naturally sweetened broth of milk and honey” …. yet in the directions you say to not let the liquid come to a boil. Sorry for the confusing wording. You don’t want it to come to a real ‘rolling’ boil as it will most likely curdle. Instead what I meant by ‘slow boil’ was more of a simmer. Thank you. I’m trying this for a birthday dinner next weekend. Sounds great.